There has been so much going on this summer at my house. Besides practically re-arranging every room on our second floor, we are currently renovating our kitchen. When we moved into our house, I knew that we would need to renovate our kitchen. It had old white cabinets with scalloped trim, dirty beige vinyl tile, and an old beige fridge. We made small changes to try to brighten it up. We painted the walls, got a new and more efficient fridge, and hung up new window treatments. However, the kitchen drove me crazy. I love to cook and I was always frustrated with the layout. There was no counter space next to the stove and I like to chop my ingredients next to the stove and throw them in the pan. Most of the time by the time I carried the cutting board over to the stove, a few of my ingredients had fallen on the floor. 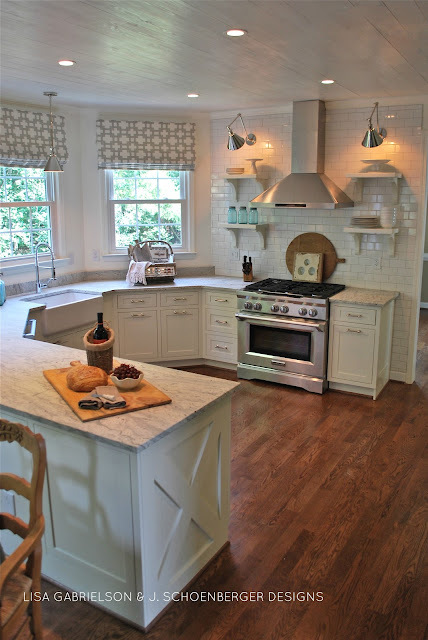 When we decided to renovate our kitchen, I knew I wanted a white, bright kitchen that had an efficient layout that would work with the way I like to cook and entertain. 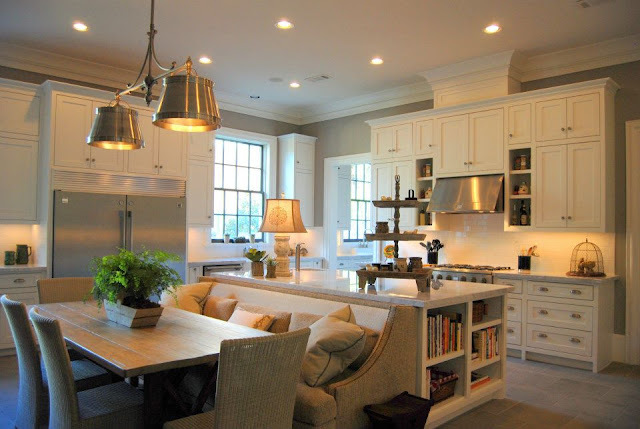 I was definitely inspired by these kitchens.